No excuses, no extra weight, and no BS. 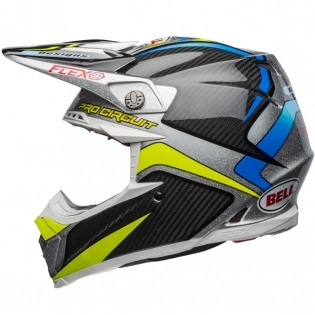 Named Product of the Year by Transworld Motocross, the Moto-9 Carbon is the most advanced and progressive MX helmet ever. From the Ultra-light TriMatrix construction to exceptional features like the Velocity Flow Ventilation system and Flying Bridge Visor with QuickFlip adjustment, every inch of the Moto-9 Carbon was designed and developed for performance. 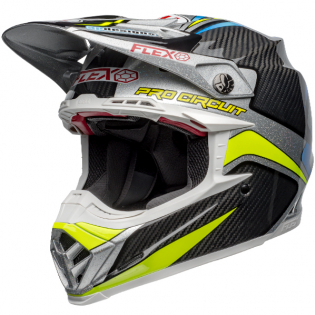 Safety is just as important as performance, which is why the Moto-9 comes equipped with our exclusive Magnefusion Emergency Removal System (MERS) cheek pads and was designed to accommodate the Eject Helmet Removal System. These two features allow First Responders to gently remove the helmet from a rider's head, reducing the potential for secondary neck or spine injuries. 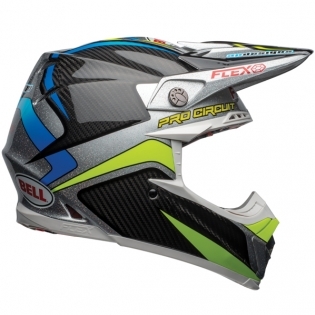 To protect and carry your helmet, the Moto-9 comes equipped with a deluxe padded helmet bag. 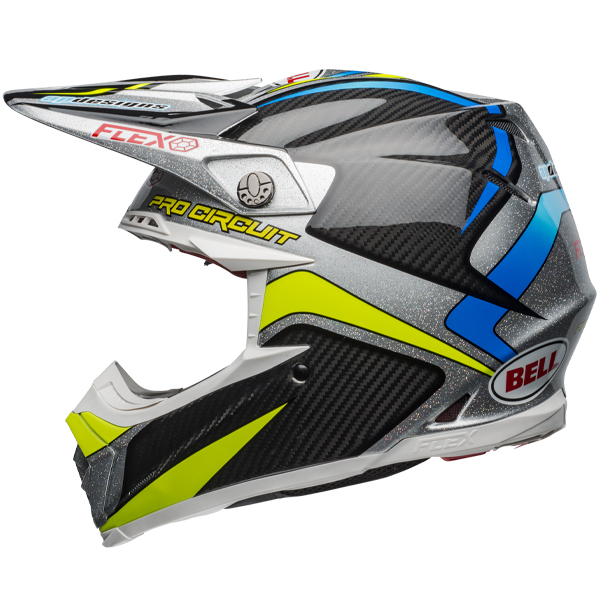 With improved fit, ventilation and safety features, the Moto-9 elevates the dirt helmet in just about every category. A TriMatrix Composite Shell keeps weight low and strength in the right places, while the Flying Bridge Visor is easily adjusted with two, hand-in-glove-adjustable, quick flip screws. 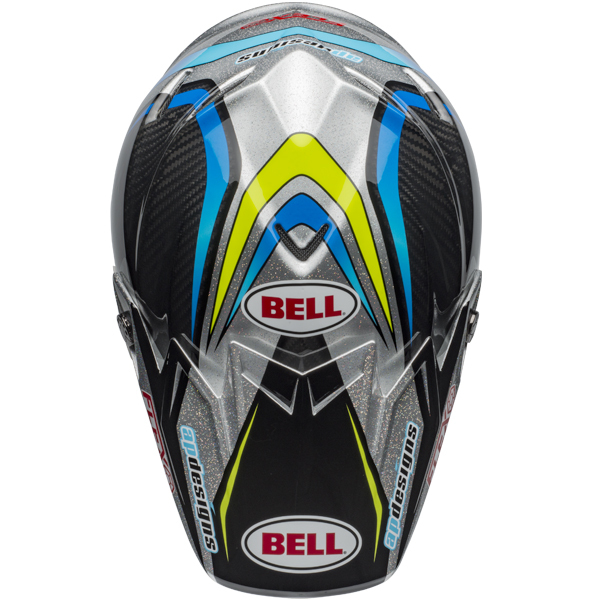 Bell’s new magnetic cheek pad system - the Magnefusion Emergency Release System (MERS) permits quick removal in emergencies and easy cleaning and drying to keep your helmet dirt and bacteria-free. The patented Magnefusion strap keeper replaces the often hard-to-locate strap snap with an elegant magnetic solution that easily engages and secures the strap end. 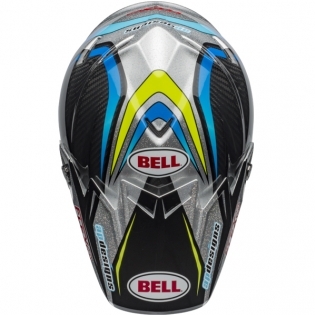 Bell standards like an integrated, removable roost guard, padded chin strap with D-ring closure and a five year warranty are all part of the package-as well as deluxe padded helmet bag. Quite simply the best MX helmet ever.